Good to see Pete back at Strongtown. 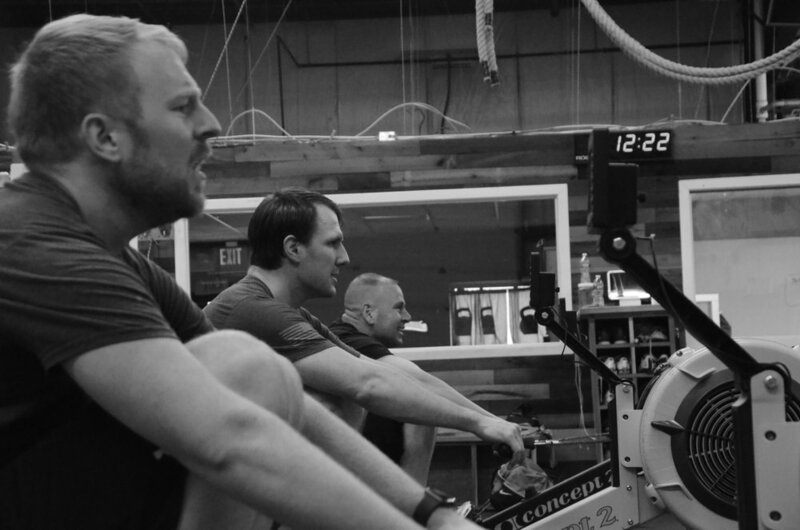 Madden, Rich and Rob staying focused during their 500m row time trials. 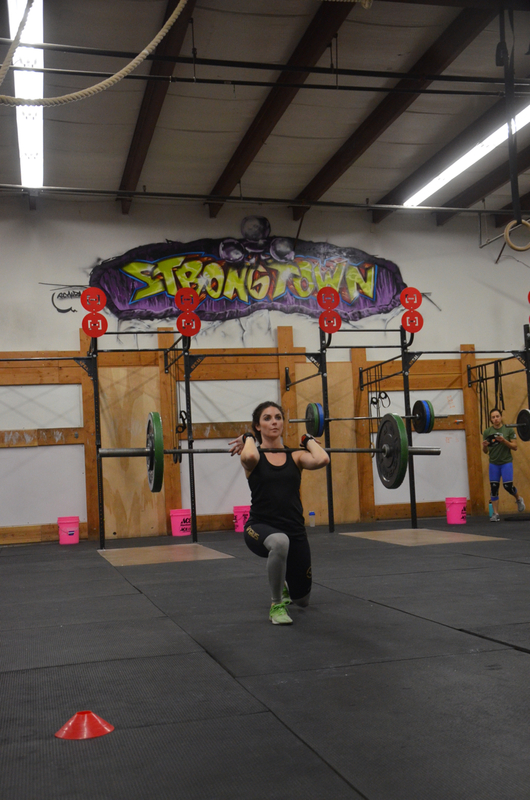 Krista keeping the elbows up on her front rack walking barbell lunge.